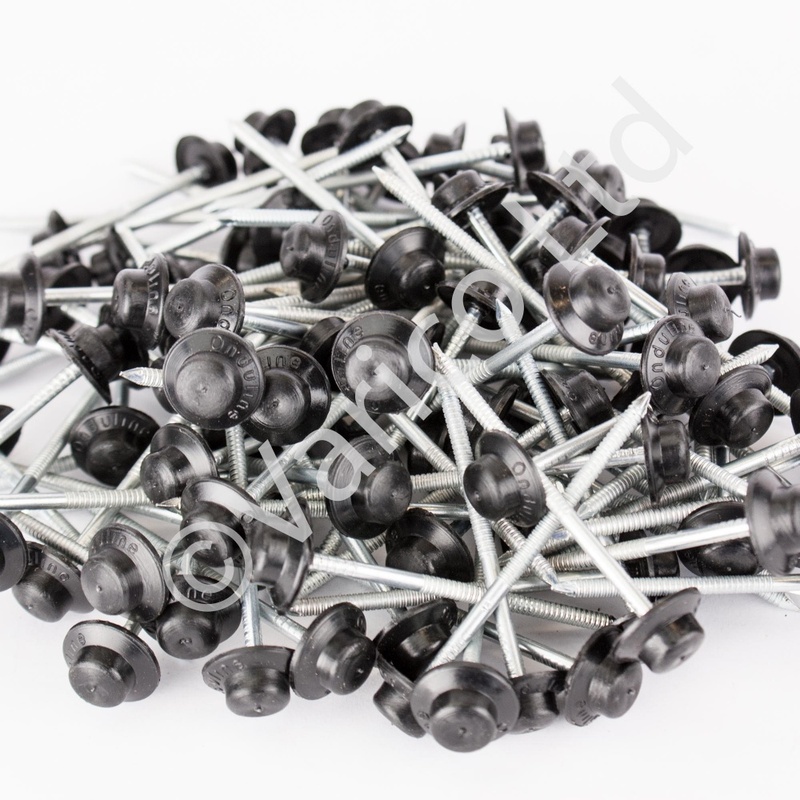 Genuine Onduline fixing nails suitable for fixing Onduline and Coroline corrugated bitumen roofing sheets. Featuring Onduline Sealsmart System for superior watertightness and wind resistance. 100 Nails - 3.1mm Diameter X 65mm Long with 18mm Diameter Collar. When Fitting Onduline Use 20 Nails per sheet.